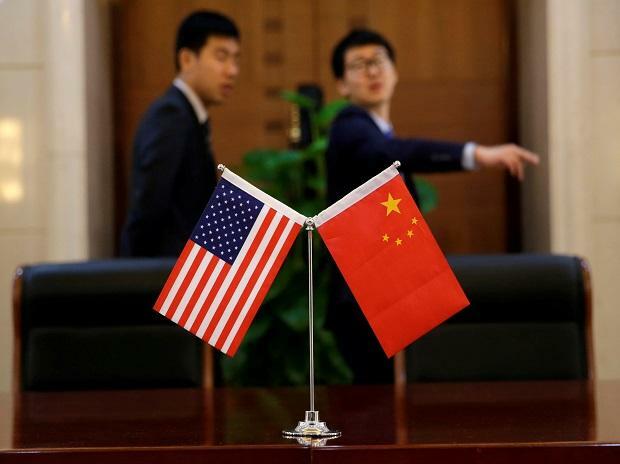 Top US and Chinese trade officials are working this week to hash out language on six broad agreements that aim to resolve the most contentious issues in their seven-month trade war. The world's two largest economies are trying to beat a March 1 deadline for a deal that averts a scheduled increase in US tariffs on $200 billion of Chinese goods to 25 per cent from 10 per cent. US President Donald Trump has said he may be flexible on the deadline if he sees progress towards a deal. Sources familiar with the talks told Reuters that negotiators are working on six memorandums of understanding for actions to be taken by China on structural reforms to trade and economic policies. U.S. and Chinese negotiators are also discussing a 10-item list of shorter-term measures, largely purchases of commodities and other goods. Washington says foreign firms are often required to transfer technology and give away intellectual property to operate in China. China denies this. The United States wants China to ensure foreign companies do not come under pressure to transfer technology through joint venture requirements, unfair business licensing and product approval practices, or other forms of coercion. The Trump administration also accuses China of conducting and supporting hacking and cyber theft of trade secrets from U.S. companies. It wants China to step up policing and prosecution of hackers. The United States says Chinese licensing practices prevent American firms from keeping control of their technology when they license it for use in China. The United States wants China to strengthen licensing laws and their enforcement to ensure that licensed IP is not stolen. Washington also wants more criminal prosecutions of copyright and other intellectual property violations. The United States is pushing China to open its markets to U.S. poultry, beef and other farm products. It wants restrictions on grain shipments brought in line with WTO obligations. The United States also wants China to approve new genetically modified seed traits more quickly. Some U.S. seed companies have waited years for approval, without which U.S. farmers will not plant crops using those seeds given that China is their biggest export market. Washington is also pushing for China to remove tariffs on ethanol and distiller dried grains, a by-product of ethanol production. U.S. Treasury Secretary Steven Mnuchin has pushed for China to open its financial services markets to more foreign firms, including credit card giants Visa and MasterCard, which have waited years for China to make good on promises to allow them to operate in China, where China UnionPay Ltd enjoys a virtual monopoly. China has taken steps towards allowing foreign insurance firms to take control of local joint ventures and was expected to publish guidelines early this year. But companies have expressed concern that opaque regulations and arbitrary applications of them could continue to stall their entry into one of the world's largest markets. Trump administration officials have used the broad category of non-tariff barriers to include China's industrial subsidies, numerous regulations, business licensing procedures, product standards reviews and other practices to keep U.S. goods out or to give an unfair advantage to domestic Chinese firms. Chief among the U.S. targets has been the "Made in China 2025" subsidies targeted at 10 strategic high-technology sectors where Beijing wants to gain a dominant position, including semiconductors, robotics, artificial intelligence, aerospace, electric vehicles and pharmaceuticals. China is investing as much as $150 billion to build up its semiconductor capabilities, and U.S. officials fear these investments will fund excess capacity that will threaten U.S. "crown jewel" industries much the same way China over-produces steel and aluminum. U.S. concerns about an undervalued yuan has been a longstanding irritant between the two countries, but the Trump administration has refrained from accusing China of manipulating its currency. In recent months, however, U.S. officials, including Mnuchin, have warned China against devaluing its yuan currency to gain a competitive advantage after the yuan weakened significantly against the dollar last year, partly offsetting Trump's tariffs. U.S. officials have called for stability in the yuan and Chinese officials last October told Mnuchin that further weakening of the yuan was not in their interests. Separate from the memorandums, U.S. and Chinese negotiators are discussing a 10-item list of shorter-term measures, largely purchases of commodities and other goods, that China can take to quickly reduce the trade deficit with the United States. China has offered to buy more U.S. agricultural produce, liquefied natural gas and goods such as semiconductors. China would also reduce its tariffs on U.S.-made polysilicon, a core ingredient in solar cells, two sources familiar with the negotiations said. The U.S. wants to build a mechanism to measure China's progress on pledged reforms into the deal. The United States could reinstate tariffs if China fails to fulfill those pledges. Trump's team says China has previously broken promises to reform on the structural issues, and says an enforcement mechanism will prevent that happening again.